PREMIUM PACKAGE, SPORT PACKAGE, WOOD/LEATHER STEERING WHEEL, BURL WALNUT WOOD TRIM. NEW BRAKES! TWO NEW TIRES! Recent Arrival! Odometer is 2702 miles below market average! CARFAX One-Owner. Clean CARFAX. MERCEDES-BENZ CERTIFIED PRE-OWNED! REGULAR OIL CHANGES! SERVICED AT MERCEDES-BENZ OF HUNTINGTON! The S-Class Coupe holds more than a half of a century of industry changing breakthroughs and traditions within its core. At first look, the S-Coupe is an attention grabbing masterpiece, with smooth and sharp body lines thanks to the AMG® Bodystyling from the Sport Package that gravitate your eyes toward the vehicle. Along with its eye-pleasing good looks, the S-Coupe has a great balance of power as well as intelligence. The technology and displays offered in the S-Coupe are not just pleasing to the eye, but also to your other senses. Experience the highest level of comfort in the S-Coupe with handcrafted finishes from the Active Multicontour Heated Seats that are tailored in Nappa leather, to the Wood and Leather Steering Wheel. Being inside of the S-Coupe, you'll never want to get out!PREMIUM PACKAGE, SPORT PACKAGE, WOOD/LEATHER STEERING WHEEL, BURL WALNUT WOOD TRIM. NEW BRAKES! TWO NEW TIRES! Recent Arrival! Odometer is 2702 miles below market average! CARFAX One-Owner. Clean CARFAX. MERCEDES-BENZ CERTIFIED PRE-OWNED! REGULAR OIL CHANGES! SERVICED AT MERCEDES-BENZ OF HUNTINGTON! The S-Class Coupe holds more than a half of a century of industry changing breakthroughs and traditions within its core. At first look, the S-Coupe is an attention grabbing masterpiece, with smooth and sharp body lines thanks to the AMG® Bodystyling from the Sport Package that gravitate your eyes toward the vehicle. Along with its eye-pleasing good looks, the S-Coupe has a great balance of power as well as intelligence. The technology and displays offered in the S-Coupe are not just pleasing to the eye, but also to your other senses. Experience the highest level of comfort in the S-Coupe with handcrafted finishes from the Active Multicontour Heated Seats that are tailored in Nappa leather, to the Wood and Leather Steering Wheel. Being inside of the S-Coupe, you'll never want to get out! DESIGNO BLACK PIANO LACQUER TRIM, 20" BLACK AMG 5-SPOKE WHEELS. NEW TIRES! Recent Arrival! CARFAX One-Owner. Clean CARFAX. Regular Oil Changes. The G-Class holds a powerful legacy in the Mercedes-Benz lineup, as well as the whole category of SUVs. With the G-Class being engineered to conquer all of the elements, you will feel on top of the world driving it. From its classic shape, to its advanced lighting and large demeanor, the G-Class is unmistakable and highly recognizable. Every angle of the G-Class embodies a persona of confidence and capability, making the G-Class appear invincible to every element of nature. The 20" Black AMG® 5-Spoke Wheels give this large SUV an aggressive demeanor. On and off-road, the G-Class is destined to not disappoint. With three sequentially lockable differentials, the G-Class offers the highest amount of capability in the off-road setting. The interior is just as exceptional as the mechanics of the G-Class. With its fresh design, efficient layout, hand-stitched elements, and top-notch luxuries, the interior of the G-Class still stands true to the tradition of craftsmanship. The designo® Black Piano Lacquer Trim accents the interior beautifully, adding an extra splash of elegance.Being the flagship SUV for Mercedes-Benz, you can only expect the best inside and outside of the vehicle. The Heated Steering Wheel equipped in this G-Wagon will keep you warm and toasty in any weather condition. In the cabin, everything is handcrafted and personalized, all for your comfort. From the dozen of Nappa leathers available, the six hand-finished cabin trims, and a plethora of paintworks, you can really feel like your G-Class is truly a reflection of your personality.DESIGNO BLACK PIANO LACQUER TRIM, 20" BLACK AMG 5-SPOKE WHEELS. NEW TIRES! Recent Arrival! CARFAX One-Owner. Clean CARFAX. Regular Oil Changes. The G-Class holds a powerful legacy in the Mercedes-Benz lineup, as well as the whole category of SUVs. With the G-Class being engineered to conquer all of the elements, you will feel on top of the world driving it. From its classic shape, to its advanced lighting and large demeanor, the G-Class is unmistakable and highly recognizable. Every angle of the G-Class embodies a persona of confidence and capability, making the G-Class appear invincible to every element of nature. The 20" Black AMG® 5-Spoke Wheels give this large SUV an aggressive demeanor. On and off-road, the G-Class is destined to not disappoint. With three sequentially lockable differentials, the G-Class offers the highest amount of capability in the off-road setting. The interior is just as exceptional as the mechanics of the G-Class. With its fresh design, efficient layout, hand-stitched elements, and top-notch luxuries, the interior of the G-Class still stands true to the tradition of craftsmanship. The designo® Black Piano Lacquer Trim accents the interior beautifully, adding an extra splash of elegance.Being the flagship SUV for Mercedes-Benz, you can only expect the best inside and outside of the vehicle. The Heated Steering Wheel equipped in this G-Wagon will keep you warm and toasty in any weather condition. In the cabin, everything is handcrafted and personalized, all for your comfort. From the dozen of Nappa leathers available, the six hand-finished cabin trims, and a plethora of paintworks, you can really feel like your G-Class is truly a reflection of your personality. PREMIUM 2 PACKAGE, REAR DECK SPOILER, 18" TWIN 5-SPOKE WHEELS, BLACK ASH WOOD TRIM. Recent Arrival! Odometer is 4602 miles below market average! 25/32 City/Highway MPG CARFAX One-Owner. Clean CARFAX. Regular Oil Changes. Serviced at Mercedes-Benz of Huntington. Get ready for sunny top-down weather and drive off in this beautiful 2016 Mercedes-Benz SLK 300 Roadster! This SLK has extremely low miles, and is ready to be driven by it's new owner now. You'll fall instantly in love with this SLK when you see the Power-Retractable Hardtop, Rear Deck Spoiler, and 18" Twin 5-Spoke Wheels. This SLK also has many features that make every drive more enjoyable and easy, with or without the top down! You can start this vehicle with just the push of a button, thanks to KEYLESS GO®! You'll also find COMAND® Navigation to keep you on track to your destination in the most efficient and easiest way possible. Enjoy your favorite music in crystal clear sound with the harman/kardon® Logic 7® Surround Sound System, turn on the Heated Front Seats and stay cozy with the SLK's AIRSCARF® system, and enjoy the Black Ash Wood Trim accenting across the interior. This SLK will NOT last long here at Mercedes-Benz of Huntington, so come down and take a look before it is sold!PREMIUM 2 PACKAGE, REAR DECK SPOILER, 18" TWIN 5-SPOKE WHEELS, BLACK ASH WOOD TRIM. Recent Arrival! Odometer is 4602 miles below market average! 25/32 City/Highway MPG CARFAX One-Owner. Clean CARFAX. Regular Oil Changes. Serviced at Mercedes-Benz of Huntington. Get ready for sunny top-down weather and drive off in this beautiful 2016 Mercedes-Benz SLK 300 Roadster! This SLK has extremely low miles, and is ready to be driven by it's new owner now. You'll fall instantly in love with this SLK when you see the Power-Retractable Hardtop, Rear Deck Spoiler, and 18" Twin 5-Spoke Wheels. This SLK also has many features that make every drive more enjoyable and easy, with or without the top down! You can start this vehicle with just the push of a button, thanks to KEYLESS GO®! You'll also find COMAND® Navigation to keep you on track to your destination in the most efficient and easiest way possible. Enjoy your favorite music in crystal clear sound with the harman/kardon® Logic 7® Surround Sound System, turn on the Heated Front Seats and stay cozy with the SLK's AIRSCARF® system, and enjoy the Black Ash Wood Trim accenting across the interior. This SLK will NOT last long here at Mercedes-Benz of Huntington, so come down and take a look before it is sold! PREMIUM PACKAGE, REAR DECK SPOILER, REARVIEW CAMERA, BLIND SPOT ASSIST, PANORAMA SUNROOF, BLACK ASH OPEN PORE WOOD TRIM, HEATED FRONT SEATS. Recent Arrival! 24/31 City/Highway MPG CARFAX One-Owner. Clean CARFAX. Regular Oil Changes. Experience all a Mercedes-Benz vehicle has to offer in this 2016 C 300 4MATIC® Sedan! The C-Class has long been a staple in the Mercedes-Benz lineup, and you can experience the excitement of the C 300 with this beauty. Be greeted by elegance and attractive design with the C-Class in your driveway, which features 17-Inch Split 5-Spoke Alloy Wheels and a Rear Deck Spoiler for further great design cues. Jump start on your journey with KEYLESS GO®, which will get your vehicle started with the push of a button. Backing out of the driveway or a parking spot has never been easier with the crisp and clear Rearview Camera that is equipped in this vehicle. Speaking of this C 300 making everything easier, this sedan is also equipped with Blind Spot Assist which will detect anyone in your blind spot and alert you. That way you can focus what is on the road ahead and with ease. Come down to Mercedes-Benz of Huntington today to take home this luxurious and innovative vehicle today!PREMIUM PACKAGE, REAR DECK SPOILER, REARVIEW CAMERA, BLIND SPOT ASSIST, PANORAMA SUNROOF, BLACK ASH OPEN PORE WOOD TRIM, HEATED FRONT SEATS. Recent Arrival! 24/31 City/Highway MPG CARFAX One-Owner. Clean CARFAX. Regular Oil Changes. Experience all a Mercedes-Benz vehicle has to offer in this 2016 C 300 4MATIC® Sedan! The C-Class has long been a staple in the Mercedes-Benz lineup, and you can experience the excitement of the C 300 with this beauty. Be greeted by elegance and attractive design with the C-Class in your driveway, which features 17-Inch Split 5-Spoke Alloy Wheels and a Rear Deck Spoiler for further great design cues. Jump start on your journey with KEYLESS GO®, which will get your vehicle started with the push of a button. Backing out of the driveway or a parking spot has never been easier with the crisp and clear Rearview Camera that is equipped in this vehicle. Speaking of this C 300 making everything easier, this sedan is also equipped with Blind Spot Assist which will detect anyone in your blind spot and alert you. That way you can focus what is on the road ahead and with ease. Come down to Mercedes-Benz of Huntington today to take home this luxurious and innovative vehicle today! PREMIUM PACKAGE, LIGHTING PACKAGE, SMARTPHONE INTEGRATION PACKAGE, LANE TRACKING PACKAGE, ANTHRACITE POPLAR WOOD TRIM, HARMAN/KARDON LOGIC 7 SURROUND SOUND SYSTEM, BRUSHED ALUMINUM RUNNING BOARDS. NEW TIRES! NEW FRONT BRAKES! Recent Arrival! CARFAX One-Owner. Clean CARFAX. Certified. Mercedes-Benz Certified Pre-Owned Details: * Vehicle History * Warranty Deductible: $0 * 165 Point Inspection * Transferable Warranty * Limited Warranty: 12 Month/Unlimited Mile beginning after new car warranty expires or from certified purchase date * Roadside Assistance * Includes Trip Interruption Reimbursement and 7 days/500 miles Exchange Privilege Experience the rugged, yet stylish side of luxury in this 2016 GLE 350 4MATIC® SUV! With Brushed Aluminum Running Boards and a Trailer Hitch, you have the full functions of a full SUV, while also being stylish and luxurious. The Premium Package in this vehicle will have you enjoying everything this SUV has to offer for a long time to come. Stay fully connected with Apple CarPlay, where your phone fully syncs to the multimedia system screen. Never get lost again with the COMAND® Navigation System, and stay on track completely with Blind Spot Assist, that will alert you if someone is in your blind spot before you make a lane change, as well as Lane Keeping Assist which will alert you if you are drifting out of your lane. Come see how exciting this GLE 350 is by stopping by our showroom for a test-drive!PREMIUM PACKAGE, LIGHTING PACKAGE, SMARTPHONE INTEGRATION PACKAGE, LANE TRACKING PACKAGE, ANTHRACITE POPLAR WOOD TRIM, HARMAN/KARDON LOGIC 7 SURROUND SOUND SYSTEM, BRUSHED ALUMINUM RUNNING BOARDS. NEW TIRES! NEW FRONT BRAKES! Experience the rugged, yet stylish side of luxury in this 2016 GLE 350 4MATIC® SUV! With Brushed Aluminum Running Boards and a Trailer Hitch, you have the full functions of a full SUV, while also being stylish and luxurious. The Premium Package in this vehicle will have you enjoying everything this SUV has to offer for a long time to come. Stay fully connected with Apple CarPlay, where your phone fully syncs to the multimedia system screen. Never get lost again with the COMAND® Navigation System, and stay on track completely with Blind Spot Assist, that will alert you if someone is in your blind spot before you make a lane change, as well as Lane Keeping Assist which will alert you if you are drifting out of your lane. Come see how exciting this GLE 350 is by stopping by our showroom for a test-drive! PREMIUM PACKAGE, SMARTPHONE INTEGRATION, LANE TRACKING PACKAGE, PANORAMA SUNROOF, TRAILER HITCH, BRUSHED ALUMINUM RUNNING BOARDS. NEW TIRES! NEW FRONT BRAKES! Recent Arrival! Odometer is 1436 miles below market average! Clean CARFAX. Experience the rugged, yet stylish side of luxury in this 2016 GLE 350 4MATIC® SUV! With Brushed Aluminum Running Boards and a Trailer Hitch, you have the full functions of a full SUV, while also being stylish and luxurious. The Premium Package in this vehicle will have you enjoying everything this SUV has to offer for a long time to come. Stay fully connected with Apple CarPlay, where your phone fully syncs to the multimedia system screen. Never get lost again with the COMAND® Navigation System, and stay on track completely with Blind Spot Assist, that will alert you if someone is in your blind spot before you make a lane change, as well as Lane Keeping Assist which will alert you if you are drifting out of your lane. You'll be completely WOWed by the Panorama Sunroof, which will open all the way to the back seat of this SUV. Come see how exciting this GLE 350 is by stopping by our showroom for a test-drive!PREMIUM PACKAGE, SMARTPHONE INTEGRATION, LANE TRACKING PACKAGE, PANORAMA SUNROOF, TRAILER HITCH, BRUSHED ALUMINUM RUNNING BOARDS. NEW TIRES! NEW FRONT BRAKES! Recent Arrival! Odometer is 1436 miles below market average! Clean CARFAX. You'll be completely WOWed by the Panorama Sunroof, which will open all the way to the back seat of this SUV. Come see how exciting this GLE 350 is by stopping by our showroom for a test-drive! PREMIUM PACKAGE, GARMIN MAP PILOT®, REARVIEW CAMERA, BLIND SPOT ASSIST. Recent Arrival! 24/32 City/Highway MPG CARFAX One-Owner. Clean CARFAX. If you are looking for a fun and youthful SUV, that is also luxurious and classy at the same time, then look no further than this 2016 GLA 250 4MATIC® SUV! While you're driving the GLA, you'll never experience boredom as this GLA has iPod and MP3 Media Player integration paired with a Burmester Surround Sound System, so you always have a concert going on during any road trip. You also have the convenience of Garmin Map Pilot, which will get you from Point A to Point B in the most efficient route. Aside from all the fun the GLA offers, the GLA also puts safety as a priority, like all other Mercedes-Benz vehicles. In the GLA you have the advantage of having an extra view in reverse with the Rearview Camera. Along with that, this GLA is also equipped with Blind Spot Assist, which will alert you when someone is in your mirror's blind spot. Clearly, this GLA 250 has your back when it comes to keeping you safe. Come down to Mercedes-Benz of Huntington today and see what all of the excitement is about with this SUV. We promise, you will not regret it!PREMIUM PACKAGE, GARMIN MAP PILOT®, REARVIEW CAMERA, BLIND SPOT ASSIST. Recent Arrival! 24/32 City/Highway MPG CARFAX One-Owner. Clean CARFAX. If you are looking for a fun and youthful SUV, that is also luxurious and classy at the same time, then look no further than this 2016 GLA 250 4MATIC® SUV! While you're driving the GLA, you'll never experience boredom as this GLA has iPod and MP3 Media Player integration paired with a Burmester Surround Sound System, so you always have a concert going on during any road trip. You also have the convenience of Garmin Map Pilot, which will get you from Point A to Point B in the most efficient route. Aside from all the fun the GLA offers, the GLA also puts safety as a priority, like all other Mercedes-Benz vehicles. In the GLA you have the advantage of having an extra view in reverse with the Rearview Camera. Along with that, this GLA is also equipped with Blind Spot Assist, which will alert you when someone is in your mirror's blind spot. Clearly, this GLA 250 has your back when it comes to keeping you safe. Come down to Mercedes-Benz of Huntington today and see what all of the excitement is about with this SUV. We promise, you will not regret it! PREMIUM PACKAGE, LINDEN WOOD TRIM, REARVIEW CAMERA, BLIND SPOT ASSIST, PANORAMA SUNROOF, HEATED FRONT SEATS. NEW BRAKES! NEW FRONT TIRES! Recent Arrival! 24/31 City/Highway MPG Clean CARFAX. Serviced at Mercedes-Benz of Huntington. Experience all a Mercedes-Benz vehicle has to offer in this 2016 C 300 4MATIC® Sedan! The C-Class has long been a staple in the Mercedes-Benz lineup, and you can experience the excitement of the C 300 with this beauty. Be greeted by elegance and attractive design with the C-Class in your driveway, which features 17-Inch Split 5-Spoke Alloy Wheels for further great design cues. Jump start on your journey with KEYLESS GO®, which will get your vehicle started with the push of a button. Backing out of the driveway or a parking spot has never been easier with the crisp and clear Rearview Camera that is equipped in this vehicle. Speaking of this C 300 making everything easier, this sedan is also equipped with Blind Spot Assist which will detect anyone in your blind spot and alert you. That way you can focus what is on the road ahead and with ease. Come down to Mercedes-Benz of Huntington today to take home this luxurious and innovative vehicle today!PREMIUM PACKAGE, LINDEN WOOD TRIM, REARVIEW CAMERA, BLIND SPOT ASSIST, PANORAMA SUNROOF, HEATED FRONT SEATS. NEW BRAKES! NEW FRONT TIRES! Recent Arrival! 24/31 City/Highway MPG Clean CARFAX. Serviced at Mercedes-Benz of Huntington. LINDEN WOOD, REARVIEW CAMERA, 18" 5-SPOKE WHEELS. NEW TIRES! NEW REAR BRAKES! Recent Arrival! 21/28 City/Highway MPG CARFAX One-Owner. Clean CARFAX. Regular Oil Changes. You deserve only the best, so why not treat yourself to this beautiful 2016 GLC 300 4MATIC SUV? This GLC sits on stylish 18" 5-Spoke Wheels that perfectly accent the look of this SUV. Enjoy the look of the Linden Wood trim accenting across the interior. Back out of spots with ease with the Rearview Camera. Come down to Mercedes-Benz of Huntington today to view this exceptional SUV before it's gone!LINDEN WOOD, REARVIEW CAMERA, 18" 5-SPOKE WHEELS. NEW TIRES! NEW REAR BRAKES! Recent Arrival! 21/28 City/Highway MPG CARFAX One-Owner. Clean CARFAX. Regular Oil Changes. You deserve only the best, so why not treat yourself to this beautiful 2016 GLC 300 4MATIC SUV? This GLC sits on stylish 18" 5-Spoke Wheels that perfectly accent the look of this SUV. Enjoy the look of the Linden Wood trim accenting across the interior. Back out of spots with ease with the Rearview Camera. Come down to Mercedes-Benz of Huntington today to view this exceptional SUV before it's gone! PREMIUM 1 PACKAGE, SPORT PACKAGE, LANE TRACKING PACKAGE, REAR DECK SPOILER, COMFORT BOX, 18-INCH AMG WHEELS. NEW BRAKES! NEW FRONT TIRES! Recent Arrival! 20/28 City/Highway MPG CARFAX One-Owner. Clean CARFAX. Regular Oil Changes. Serviced at Mercedes-Benz of Huntington. You appreciate the finer things in life. The vehicle you drive should not be the exception. This E-Class has everything you ever wanted in a vehicle. Quality. Reliability. Character. And more. Don't settle for less than you deserve. What you deserve is a vehicle designed for higher expectations! This 2016 E 350 4MATIC Sedan is also just as pleasing to the eye as it is to the senses. Walking up to the car you will be welcomed with Sport bodystyling from the Sport Package, paired with 18" AMG® Wheels and a Rear Deck Spoiler. The exterior of this vehicle is stunning, to say the least. This E 350 exceeds expectations, and aims to please the driver. Enjoy the COMAND® Navigation System giving you turn by turn directions on the most efficient routes for any destination you need to get to. Stay nice and organized with the Comfort Box in the trunk, which keeps all your cargo neat and organized. On top of that, you have the added convenience and safety of features such as Blind Spot Assist and Lane Keeping Assist. As you can see, this E 350 is FULLY LOADED with everything you can imagine. All it needs now is you in the driver's seat. Come down to Mercedes-Benz of Huntington today to experience true luxury at its finest.PREMIUM 1 PACKAGE, SPORT PACKAGE, LANE TRACKING PACKAGE, REAR DECK SPOILER, COMFORT BOX, 18-INCH AMG WHEELS. NEW BRAKES! NEW FRONT TIRES! Recent Arrival! 20/28 City/Highway MPG CARFAX One-Owner. Clean CARFAX. Regular Oil Changes. Serviced at Mercedes-Benz of Huntington. You appreciate the finer things in life. The vehicle you drive should not be the exception. This E-Class has everything you ever wanted in a vehicle. Quality. Reliability. Character. And more. Don't settle for less than you deserve. What you deserve is a vehicle designed for higher expectations! This 2016 E 350 4MATIC Sedan is also just as pleasing to the eye as it is to the senses. Walking up to the car you will be welcomed with Sport bodystyling from the Sport Package, paired with 18" AMG® Wheels and a Rear Deck Spoiler. The exterior of this vehicle is stunning, to say the least. This E 350 exceeds expectations, and aims to please the driver. Enjoy the COMAND® Navigation System giving you turn by turn directions on the most efficient routes for any destination you need to get to. Stay nice and organized with the Comfort Box in the trunk, which keeps all your cargo neat and organized. On top of that, you have the added convenience and safety of features such as Blind Spot Assist and Lane Keeping Assist. As you can see, this E 350 is FULLY LOADED with everything you can imagine. All it needs now is you in the driver's seat. Come down to Mercedes-Benz of Huntington today to experience true luxury at its finest. PREMIUM PACKAGE, PARKING ASSIST PACKAGE, DRIVER ASSISTANCE PACKAGE, 22" AMG TWIN 5-SPOKE WHEELS WITH BLACK INSERTS, AMBIENT LIGHTING. Recent Arrival! CARFAX One-Owner. Clean CARFAX. Regular Oil Changes. Serviced at Mercedes-Benz of Huntington. Now is your chance to get into a luxurious, capable, and sporty vehicle, with this 2016 Mercedes-Benz GLE 450 Coupe 4MATIC. You'll be absolutely stunned by the looks of this vehicle, featuring 22" AMG® Twin 5-Spoke Wheels with Black Inserts. Inside is just as amazing as the outside of the GLE Coupe with a Heated Steering Wheel, a large Panorama Roof, as well as Ambient Lighting. You'll be absolutely comfortable in this SUV-Coupe, as well as exhilarated. There are also many features to make every drive in this vehicle an easy one, thanks to the Driver Assistance Package. Not to mention, you will also find parking this vehicle easy as cake, thanks to the Parking Assist Package. You do not want to miss out on seeing this GLE 450 Coupe in person, so come down to Mercedes-Benz of Huntington before the vehicle is sold!PREMIUM PACKAGE, PARKING ASSIST PACKAGE, DRIVER ASSISTANCE PACKAGE, 22" AMG TWIN 5-SPOKE WHEELS WITH BLACK INSERTS, AMBIENT LIGHTING. Recent Arrival! CARFAX One-Owner. Clean CARFAX. Regular Oil Changes. Serviced at Mercedes-Benz of Huntington. Now is your chance to get into a luxurious, capable, and sporty vehicle, with this 2016 Mercedes-Benz GLE 450 Coupe 4MATIC. You'll be absolutely stunned by the looks of this vehicle, featuring 22" AMG® Twin 5-Spoke Wheels with Black Inserts. Inside is just as amazing as the outside of the GLE Coupe with a Heated Steering Wheel, a large Panorama Roof, as well as Ambient Lighting. You'll be absolutely comfortable in this SUV-Coupe, as well as exhilarated. There are also many features to make every drive in this vehicle an easy one, thanks to the Driver Assistance Package. Not to mention, you will also find parking this vehicle easy as cake, thanks to the Parking Assist Package. You do not want to miss out on seeing this GLE 450 Coupe in person, so come down to Mercedes-Benz of Huntington before the vehicle is sold! PREMIUM PACKAGE, SMARTPHONE INTEGRATION PACKAGE, LANE TRACKING PACKAGE, ANTHRACITE POPLAR WOOD TRIM. NEW FRONT TIRES! Recent Arrival! Odometer is 9112 miles below market average! CARFAX One-Owner. Clean CARFAX. Regular Oil Changes. Serviced at Mercedes-Benz of Huntington. Experience the rugged, yet stylish side of luxury in this 2016 GLE 350 4MATIC® SUV! The Premium Package in this vehicle will have you enjoying everything this SUV has to offer for a long time to come. Stay fully connected with Apple CarPlay, where your phone fully syncs to the multimedia system screen. Never get lost again with the COMAND® Navigation System, and stay on track completely with Blind Spot Assist, that will alert you if someone is in your blind spot before you make a lane change, as well as Lane Keeping Assist which will alert you if you are drifting out of your lane. Come see how exciting this GLE 350 is by stopping by our showroom for a test-drive!PREMIUM PACKAGE, SMARTPHONE INTEGRATION PACKAGE, LANE TRACKING PACKAGE, ANTHRACITE POPLAR WOOD TRIM. NEW FRONT TIRES! Recent Arrival! Odometer is 9112 miles below market average! CARFAX One-Owner. Clean CARFAX. Regular Oil Changes. Serviced at Mercedes-Benz of Huntington. Experience the rugged, yet stylish side of luxury in this 2016 GLE 350 4MATIC® SUV! PREMIUM 2 PACKAGE, LANE TRACKING PACKAGE, PARKING ASSIST PACKAGE, ILLUMINATED STAR, MULTICONTOUR FRONT SEATS WITH MASSAGE FEATURE, HEATED AND VENTILATED FRONT SEATS, TRAILER HITCH, ANTHRACITE POPLAR WOOD TRIM, ILLUMINATED RUNNING BOARDS. Recent Arrival! CARFAX One-Owner. Clean CARFAX. Serviced at Mercedes-Benz of Huntington. Now is your chance to get into a luxurious, capable, and sporty AMG vehicle, with this 2017 Mercedes-Benz AMG GLE 43 Coupe 4MATIC. You'll be absolutely stunned by the looks of this vehicle, featuring an Illuminated Star, Illuminated Running Boards, and 21" AMG® Twin 5-Spoke Wheels with Black Accents. Inside is just as amazing as the outside of the GLE Coupe, with Saddle Brown Heated and Ventilated Multicontour Leather Seats, Multi-Color Ambient Lighting, a Heated Steering Wheel, as well as Heated and Cooled Front Cupholders. You'll be absolutely comfortable in this SUV-Coupe, as well as exhilarated by the power of an AMG® vehicle. There are also many features to make every drive in this vehicle an easy one, thanks to the Driver Assistance Package. Not to mention, you will also find parking this vehicle easy as cake, thanks to the Parking Assist Package. You do not want to miss out on seeing this GLE 43 Coupe in person, so come down to Mercedes-Benz of Huntington before the vehicle is sold!PREMIUM 2 PACKAGE, LANE TRACKING PACKAGE, PARKING ASSIST PACKAGE, ILLUMINATED STAR, MULTICONTOUR FRONT SEATS WITH MASSAGE FEATURE, HEATED AND VENTILATED FRONT SEATS, TRAILER HITCH, ANTHRACITE POPLAR WOOD TRIM, ILLUMINATED RUNNING BOARDS. Recent Arrival! CARFAX One-Owner. Clean CARFAX. Serviced at Mercedes-Benz of Huntington. Now is your chance to get into a luxurious, capable, and sporty AMG vehicle, with this 2017 Mercedes-Benz AMG GLE 43 Coupe 4MATIC. You'll be absolutely stunned by the looks of this vehicle, featuring an Illuminated Star, Illuminated Running Boards, and 21" AMG® Twin 5-Spoke Wheels with Black Accents. Inside is just as amazing as the outside of the GLE Coupe, with Saddle Brown Heated and Ventilated Multicontour Leather Seats, Multi-Color Ambient Lighting, a Heated Steering Wheel, as well as Heated and Cooled Front Cupholders. You'll be absolutely comfortable in this SUV-Coupe, as well as exhilarated by the power of an AMG® vehicle. There are also many features to make every drive in this vehicle an easy one, thanks to the Driver Assistance Package. Not to mention, you will also find parking this vehicle easy as cake, thanks to the Parking Assist Package. You do not want to miss out on seeing this GLE 43 Coupe in person, so come down to Mercedes-Benz of Huntington before the vehicle is sold! LINDEN WOOD TRIM, REARVIEW CAMERA, PANORAMA SUNROOF, HEATED FRONT SEATS. Recent Arrival! Odometer is 8440 miles below market average! 24/31 City/Highway MPG CARFAX One-Owner. Clean CARFAX. Regular Oil Changes. Serviced at Mercedes-Benz of Huntington. New Front Tires! New Front Brakes! Experience all a Mercedes-Benz vehicle has to offer in this 2016 C 300 4MATIC® Sedan! The C-Class has long been a staple in the Mercedes-Benz lineup, and you can experience the excitement of the C 300 with this beauty. Be greeted by elegance and attractive design with the C-Class in your driveway, which features 17-Inch Split 5-Spoke Alloy Wheels for further great design cues. Backing out of the driveway or a parking spot has never been easier with the crisp and clear Rearview Camera that is equipped in this vehicle. Stay nice and cozy with the Heated Front Seats, especially on cold mornings. You'll also enjoy the Linden Wood Trim inside the vehicle, and the large Panorama Sunroof that offers sunny sky views for all passengers. Come down to Mercedes-Benz of Huntington today to take home this luxurious and innovative vehicle today!LINDEN WOOD TRIM, REARVIEW CAMERA, PANORAMA SUNROOF, HEATED FRONT SEATS. REARVIEW CAMERA, BURL WALNUT WOOD TRIM, HEATED FRONT SEATS. Recent Arrival! Odometer is 8780 miles below market average! 24/31 City/Highway MPG CARFAX One-Owner. Clean CARFAX. Regular Oil Changes. Serviced at Mercedes-Benz of Huntington. Experience all a Mercedes-Benz vehicle has to offer in this 2016 C 300 4MATIC® Sedan! The C-Class has long been a staple in the Mercedes-Benz lineup, and you can experience the excitement of the C 300 with this beauty. Be greeted by elegance and attractive design with the C-Class in your driveway, which features 17-Inch Split 5-Spoke Alloy Wheels for further great design cues. Backing out of the driveway or a parking spot has never been easier with the crisp and clear Rearview Camera that is equipped in this vehicle. Stay nice and cozy with the Heated Front Seats! Enjoy luxurious Burl Walnut Wood Trim inside this C 300. Come down to Mercedes-Benz of Huntington today to take home this luxurious and innovative vehicle today!REARVIEW CAMERA, BURL WALNUT WOOD TRIM, HEATED FRONT SEATS. PREMIUM PACKAGE, BURL WALNUT WOOD TRIM, REARVIEW CAMERA, PANORAMA SUNROOF. NEW BRAKES! NEW FRONT TIRES! Recent Arrival! 24/33 City/Highway MPG CARFAX One-Owner. Clean CARFAX. Regular Oil Changes. Serviced at Mercedes-Benz of Huntington. The 2016 CLA 250 is a precise blend of sporty coupe and 4-door-sedan. This vehicle is perfect for those looking for a fun, sporty, and luxurious vehicle that only you would expect from Mercedes-Benz. With features such KEYLESS GO® that starts the CLA with the push of a button, Heated Front Seats to keep you cozy, and a Rearview Camera for the most convenience, the CLA makes daily driving life easier. The Panorama Sunroof is an absolutely amazing feature that provides sunny sky views for the whole cabin. You'll also be able to play your favorite tunes in the crispest definition with the harmon/kardon Sound System paired with an iPod and MP3 Player interface. Perfect for any long road trip full of your favorite songs! This CLA 250 has a lot to offer, so come on down to Mercedes-Benz of Huntington today to take it for a test-drive. We are certain you will fall in love at first sight!PREMIUM PACKAGE, BURL WALNUT WOOD TRIM, REARVIEW CAMERA, PANORAMA SUNROOF. NEW BRAKES! NEW FRONT TIRES! Recent Arrival! 24/33 City/Highway MPG CARFAX One-Owner. Clean CARFAX. Regular Oil Changes. Serviced at Mercedes-Benz of Huntington. The 2016 CLA 250 is a precise blend of sporty coupe and 4-door-sedan. This vehicle is perfect for those looking for a fun, sporty, and luxurious vehicle that only you would expect from Mercedes-Benz. With features such KEYLESS GO® that starts the CLA with the push of a button, Heated Front Seats to keep you cozy, and a Rearview Camera for the most convenience, the CLA makes daily driving life easier. The Panorama Sunroof is an absolutely amazing feature that provides sunny sky views for the whole cabin. You'll also be able to play your favorite tunes in the crispest definition with the harmon/kardon Sound System paired with an iPod and MP3 Player interface. Perfect for any long road trip full of your favorite songs! This CLA 250 has a lot to offer, so come on down to Mercedes-Benz of Huntington today to take it for a test-drive. We are certain you will fall in love at first sight! PREMIUM 2 PACKAGE, SPORT WHEEL PACKAGE, 19" AMG TWIN 5-SPOKE WHEELS, ILLUMINATED STAR, REAR DECK SPOILER, COMFORT BOX, LED LOGO PROJECTORS, BURMESTER SURROUND SOUND SYSTEM. Recent Arrival! Odometer is 14176 miles below market average! 22/29 City/Highway MPG CARFAX One-Owner. Clean CARFAX. Regular Oil Changes. Serviced at Mercedes-Benz of Huntington. The 2017 E-Class Sedan is everything you could want and more in a luxury sedan. Classy and sophisticated, yet sporty and youthful, you'll find yourself wanting to go on any drive possible in the E-Class. Especially with all of the features that are LOADED inside of this vehicle! At first look, the E 300 is simply stunning, with AMG Bodystyling, an Illuminated Star shining bright in the grille, and 19" AMG® Twin 5-Spoke Wheels giving the vehicle an extra edge of adrenaline and excitement. Opening the driver door, you'll be pleasantly surprised to find LED Logo Projectors that proudly display the Mercedes-Benz Three-Pointed Star onto the pavement below. Get going right away with the push of a button, thanks to KEYLESS GO®. Stay nice and cozy no matter what the weather is from the Heated Steering Wheel. Listen to all of your favorite tunes in crystal clear sound from the Burmester Surround Sound System! Not to mention, you can stay organized in this vehicle with the Comfort Box in the trunk, which keeps everything safe and neat in the trunk during your drive. Parking spots are no longer a challenge in the E-Class, thanks to Parking Pilot and a Rearview Camera. The E-Class wants to assist you in any way possible, and you'll feel confident to take on any parking lot. Not to mention, this vehicle is also equipped with Blind Spot Assist, to keep you more alert of who is in your pesky blind spot. All in all, the E-Class comes with everything you could want and more in a Mercedes-Benz vehicle.PREMIUM 2 PACKAGE, SPORT WHEEL PACKAGE, 19" AMG TWIN 5-SPOKE WHEELS, ILLUMINATED STAR, REAR DECK SPOILER, COMFORT BOX, LED LOGO PROJECTORS, BURMESTER SURROUND SOUND SYSTEM. Recent Arrival! Odometer is 14176 miles below market average! 22/29 City/Highway MPG CARFAX One-Owner. Clean CARFAX. Regular Oil Changes. Serviced at Mercedes-Benz of Huntington. The 2017 E-Class Sedan is everything you could want and more in a luxury sedan. Classy and sophisticated, yet sporty and youthful, you'll find yourself wanting to go on any drive possible in the E-Class. Especially with all of the features that are LOADED inside of this vehicle! At first look, the E 300 is simply stunning, with AMG Bodystyling, an Illuminated Star shining bright in the grille, and 19" AMG® Twin 5-Spoke Wheels giving the vehicle an extra edge of adrenaline and excitement. Opening the driver door, you'll be pleasantly surprised to find LED Logo Projectors that proudly display the Mercedes-Benz Three-Pointed Star onto the pavement below. Parking spots are no longer a challenge in the E-Class, thanks to Parking Pilot and a Rearview Camera. The E-Class wants to assist you in any way possible, and you'll feel confident to take on any parking lot. Not to mention, this vehicle is also equipped with Blind Spot Assist, to keep you more alert of who is in your pesky blind spot. All in all, the E-Class comes with everything you could want and more in a Mercedes-Benz vehicle. PREMIUM PACKAGE, MULTIMEDIA PACKAGE, REAR DECK SPOILER, REARVIEW CAMERA, BLIND SPOT ASSIST, PANORAMA SUNROOF, BLACK ASH OPEN PORE WOOD TRIM, HEATED FRONT SEATS. NEW FRONT BRAKES! NEW FRONT TIRES! Recent Arrival! Odometer is 11228 miles below market average! 24/31 City/Highway MPG CARFAX One-Owner. Clean CARFAX. Serviced at Mercedes-Benz of Huntington. Experience all a Mercedes-Benz vehicle has to offer in this 2016 C 300 4MATIC® Sedan! The C-Class has long been a staple in the Mercedes-Benz lineup, and you can experience the excitement of the C 300 with this beauty. Be greeted by elegance and attractive design with the C-Class in your driveway, which features 17-Inch Split 5-Spoke Alloy Wheels and a Rear Deck Spoiler for further great design cues. Jump start on your journey with KEYLESS GO®, which will get your vehicle started with the push of a button. Enjoy sunny sky views with the Panorama Sunroof in this C-Class. Stay nice and cozy with the Heated Front Seats. Backing out of the driveway or a parking spot has never been easier with the crisp and clear Rearview Camera that is equipped in this vehicle. Speaking of this C 300 making everything easier, this sedan is also equipped with Blind Spot Assist which will detect anyone in your blind spot and alert you. That way you can focus what is on the road ahead and with ease. Come down to Mercedes-Benz of Huntington today to take home this luxurious and innovative vehicle today!PREMIUM PACKAGE, MULTIMEDIA PACKAGE, REAR DECK SPOILER, REARVIEW CAMERA, BLIND SPOT ASSIST, PANORAMA SUNROOF, BLACK ASH OPEN PORE WOOD TRIM, HEATED FRONT SEATS. NEW FRONT BRAKES! NEW FRONT TIRES! Recent Arrival! Odometer is 11228 miles below market average! 24/31 City/Highway MPG CARFAX One-Owner. Clean CARFAX. Serviced at Mercedes-Benz of Huntington. Jump start on your journey with KEYLESS GO®, which will get your vehicle started with the push of a button. Enjoy sunny sky views with the Panorama Sunroof in this C-Class. Stay nice and cozy with the Heated Front Seats. Backing out of the driveway or a parking spot has never been easier with the crisp and clear Rearview Camera that is equipped in this vehicle. PREMIUM PACKAGE, WHEEL PACKAGE, LANE TRACKING PACKAGE, REAR DECK SPOILER, 19" AMG MULTI-SPOKE WHEELS. NEW FRONT TIRES! NEW REAR BRAKES! Recent Arrival! 19/26 City/Highway MPG CARFAX One-Owner. Clean CARFAX. Now is your chance to own the sleek and stylish 2016 Mercedes-Benz CLS 400 4MATIC! A precise blend of sedan and coupe, you'll feel like a million bucks in this vehicle. The 19" AMG® Multi-Spoke Wheels makes this CLS stand out even further. Not to mention, this vehicle also has some amazing features for you to enjoy. It all starts with the push of a button, starting this CLS that is. With KEYLESS GO®, you can get going right away without taking the keys out of your pocket. Inside you'll find other useful features such as COMAND® Navigation, Blind Spot Assist, as well as Split-Folding Rear Seats for those times you need some extra cargo room. No matter what the weather conditions are outside, the CLS will keep you comfortable. The Heated and Ventilated Front Seats keep you at your ideal temperature through everything. You also get Power Folding Mirrors for those tight parking situations, as well as an Electronic Trunk Closer. The CLS makes it all about YOU! Come down to Mercedes-Benz of Huntington today to check out this CLS 400. Chances are it will not be here for long!PREMIUM PACKAGE, WHEEL PACKAGE, LANE TRACKING PACKAGE, REAR DECK SPOILER, 19" AMG MULTI-SPOKE WHEELS. NEW FRONT TIRES! NEW REAR BRAKES! Recent Arrival! 19/26 City/Highway MPG CARFAX One-Owner. Clean CARFAX. Now is your chance to own the sleek and stylish 2016 Mercedes-Benz CLS 400 4MATIC! A precise blend of sedan and coupe, you'll feel like a million bucks in this vehicle. The 19" AMG® Multi-Spoke Wheels makes this CLS stand out even further. Not to mention, this vehicle also has some amazing features for you to enjoy. It all starts with the push of a button, starting this CLS that is. With KEYLESS GO®, you can get going right away without taking the keys out of your pocket. Inside you'll find other useful features such as COMAND® Navigation, Blind Spot Assist, as well as Split-Folding Rear Seats for those times you need some extra cargo room. No matter what the weather conditions are outside, the CLS will keep you comfortable. The Heated and Ventilated Front Seats keep you at your ideal temperature through everything. You also get Power Folding Mirrors for those tight parking situations, as well as an Electronic Trunk Closer. The CLS makes it all about YOU! Come down to Mercedes-Benz of Huntington today to check out this CLS 400. Chances are it will not be here for long! PREMIUM PACKAGE, REAR DECK SPOILER, REARVIEW CAMERA, BLIND SPOT ASSIST, PANORAMA SUNROOF, BLACK ASH OPEN PORE WOOD TRIM, HEATED FRONT SEATS. Recent Arrival! 24/31 City/Highway MPG CARFAX One-Owner. Clean CARFAX. Regular Oil Changes. Serviced at Mercedes-Benz of Huntington. Experience all a Mercedes-Benz vehicle has to offer in this 2016 C 300 4MATIC® Sedan! The C-Class has long been a staple in the Mercedes-Benz lineup, and you can experience the excitement of the C 300 with this beauty. Be greeted by elegance and attractive design with the C-Class in your driveway, which features 17-Inch Split 5-Spoke Alloy Wheels and a Rear Deck Spoiler for further great design cues. Jump start on your journey with KEYLESS GO®, which will get your vehicle started with the push of a button. Enjoy sunny sky views with the Panorama Sunroof in this C-Class. Stay nice and cozy with the Heated Front Seats. Backing out of the driveway or a parking spot has never been easier with the crisp and clear Rearview Camera that is equipped in this vehicle. Speaking of this C 300 making everything easier, this sedan is also equipped with Blind Spot Assist which will detect anyone in your blind spot and alert you. That way you can focus what is on the road ahead and with ease. Come down to Mercedes-Benz of Huntington today to take home this luxurious and innovative vehicle today!PREMIUM PACKAGE, REAR DECK SPOILER, REARVIEW CAMERA, BLIND SPOT ASSIST, PANORAMA SUNROOF, BLACK ASH OPEN PORE WOOD TRIM, HEATED FRONT SEATS. Recent Arrival! 24/31 City/Highway MPG CARFAX One-Owner. Clean CARFAX. Regular Oil Changes. Serviced at Mercedes-Benz of Huntington. Looking for a Pre-Owned Mercedes-Benz with added peace-of-mind? Then a Certified Pre-Owned Mercedes-Benz is right for you. Backed by a comprehensive certification inspection, a Mercedes-Benz Certified Pre-Owned Warranty, as well as 24-hour Roadside Assistance, you can purchase the Mercedes-Benz you have been dreaming about with no worries. You can also purchase Certified Pre-Owned Star Prepaid Maintenance, that way you can ensure your Mercedes-Benz will be properly maintained at the right time intervals. The Certified Pre-Owned Mercedes-Benz program clearly is designed to melt away any worries a consumer may have about purchasing a Pre-Owned vehicle. Our Certified Pre-Owned Mercedes-Benz inventory grows every day, and Mercedes-Benz of Huntington provides you with the best inventory possible. All of our Certified Pre-Owned Mercedes-Benz vehicles are hand-picked and thoroughly inspected to ensure that the vehicles are of the upmost quality. Purchasing a Certified Pre-Owned vehicle from Mercedes-Benz of Huntington ensures you have peace-of-mind throughout the time you own the vehicle. Not to mention, our excellent Service Department is there for you for any maintenance and repairs you may need on your Certified Pre-Owned Mercedes-Benz. 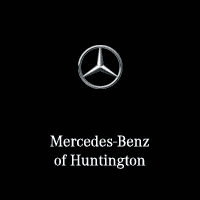 Experience only the best in all aspects at Mercedes-Benz of Huntington! Contact us today or stop into our showroom to browse our Certified Pre-Owned inventory.